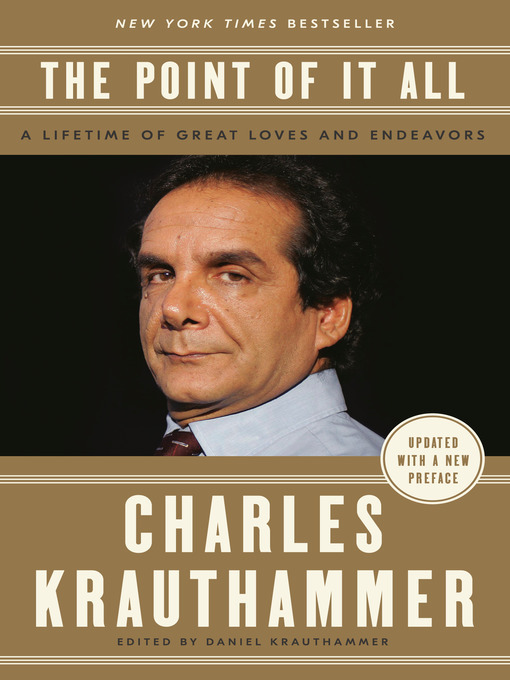 Created and compiled by Charles Krauthammer before his death, The Point of It All is an intimate collection of the influential columnist's most important works. Spanning the personal, political and philosophical—including never-before-published speeches and a major new essay about the effect of today's populist movements on the future of global democracy—this is the most profound book yet by the legendary writer and thinker. For longtime readers and newcomers alike, The Point of It All is a timely and much needed demonstration of what it means to cut through the noise of petty politics with clarity, integrity and intellectual fortitude. Edited and with an introduction by the columnist's son, Daniel Krauthammer, the book is a reminder of what made Charles Krauthammer the most celebrated American columnist and political thinker of his generation, a look at the man behind the words, and a lasting testament to his belief that anyone with an open and honest mind can grapple deeply with the most urgent questions in politics and life.